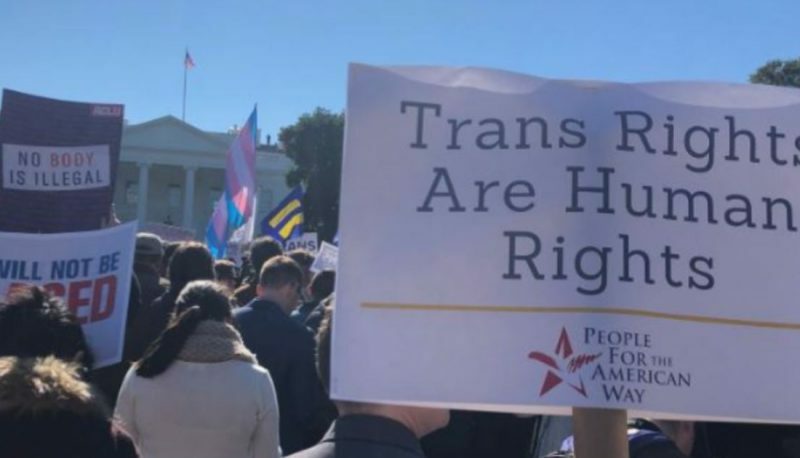 On October 22, PFAW joined a coalition of LGBTQ advocates for a rally against the Trump administration’s latest attack on the transgender community. In a chilling move against LGBTQ civil rights, the U.S. Department of Health and Human Services reportedly argues in a draft memo that the government should define gender in strictly anatomical terms which would strip civil rights protections from transgender people. 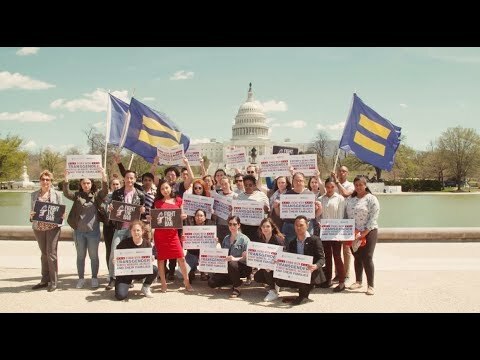 The peaceful gathering in front of the White House took place only a day after the HHS memo was leaked to The New York Times. 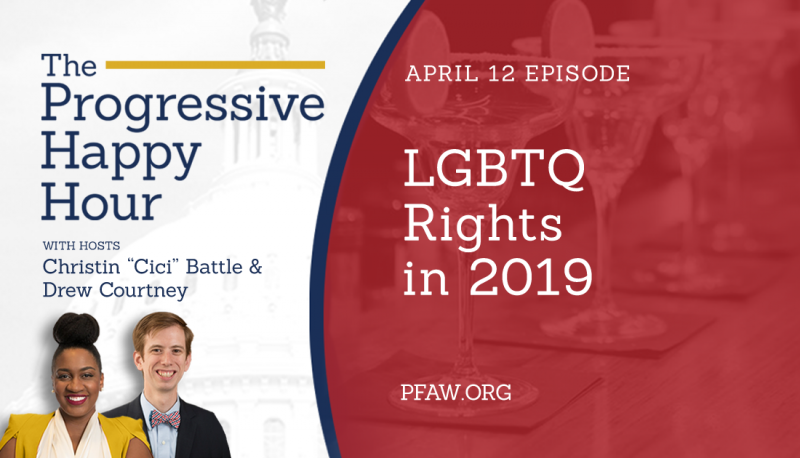 Organizing groups included the National Center for Transgender Equality, the National LGBTQ Task Force, Human Rights Campaign, and Lambda Legal. 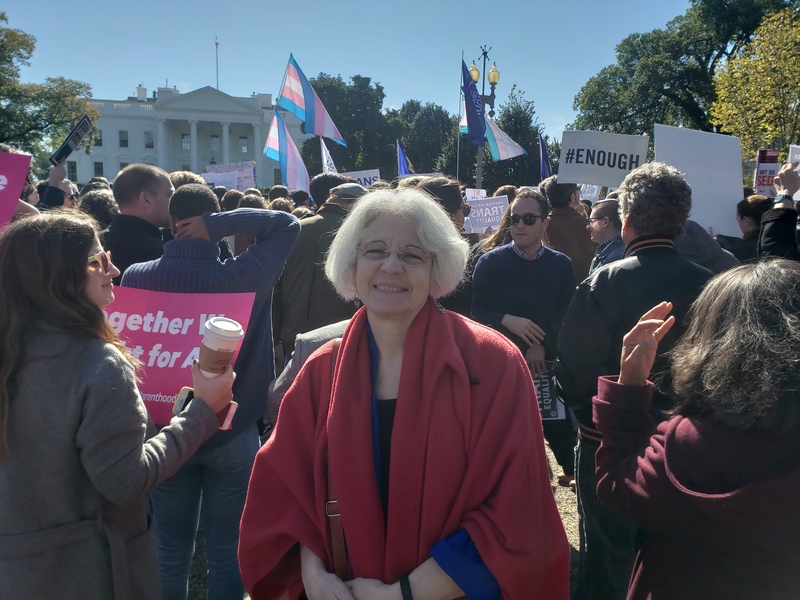 Many trans activists and allies also came out to denounce the administration’s proposal and show support for transgender people. The Trump administration is essentially trying to erase transgender identity by creating a heartless and extreme definition of gender that is not grounded in science, medicine, or the law. This is a huge blow to the transgender community, as this definition would prevent trans people from receiving federal civil rights protections and make it impossible to enforce non-discrimination laws. Among others, the American Medical Association and dozens of courts over the last two decades have affirmed the full rights and identities of transgender people. The Trump administration has no such evidence to support its views, and is simply acting in a way to narrow LGBTQ civil rights. This event included a broad group of speakers from various LGBTQ rights organizations in the area. One of the featured speakers, Ian Thompson from the ACLU, explained that the transgender community has experienced a long history of systematic attacks. He encouraged everyone to get ready for a fight and explained how the ACLU will always take legal action against discrimination of any kind. Sasha Buchert of Lambda Legal was another prominent speaker who led the demonstrators in several pro-LGBTQ chants. 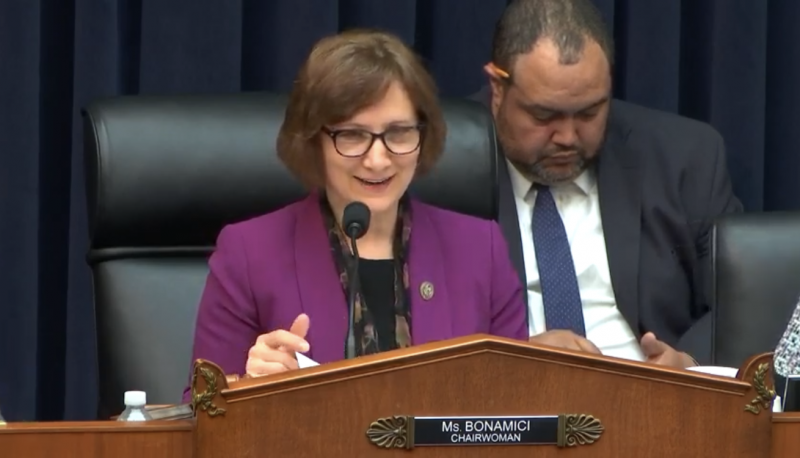 She explained that the trans community has always been a target of the Trump administration and encouraged everyone to take every action available in fighting against these attacks. She encouraged people to mobilize, organize, sue the administration, and vote for progressive candidates. Rea Carey of the National LGBTQ Task Force stated that “dehumanizing those you do not like is the hallmark of an authoritarian government.” She warned that additional attacks on the LGBTQ community were likely to come and asked that everyone continue to show up in support of transgender individuals who are targeted by civil rights abuses. Mara Keisling, one of the main organizers of the rally from NCTE, was the last to speak out. She ended with an incredible speech on steps to take in the future and explained that we need to stand up, speak out, support one another, stand tall, and VOTE.